As the benefits of having a diverse workforce and an inclusive workplace culture gain widespread acceptance in the business world, diversity and inclusivity have become a priority for leaders. Research from Deloitte shows that more than two-thirds of organizations (68%) are recruiting diverse candidates and investing in technologies to reduce workplace bias. Another report by Forbes also suggests that diversity and inclusion initiatives are failing to achieve their objectives. But with diverse and inclusive organizations likely to generate up to 30% more revenue per employee and being twice as likely to exceed financial targets, there’s a lot at stake. Let’s take a look at how technology can help organizations implement their inclusion programs more effectively, the steps taken by organizations to integrate tech in their people policies, and what existing solutions have to offer. It is a well-known fact that men are disproportionately represented in several industries (like IT and STEM). These biases have also been confirmed in studies by Recruitment firm Hays showing that the exact same candidate profile has a better chance of being selected if the name of the candidate is gender-neutral or that of a man. Furthermore, this unconscious discrimination can have racial or political overtones as well. Traditionally, HR professionals and recruiters have played a critical role at every step in the recruitment process and that means human biases and prejudices have been at play as well. The reason why such biases are harder to dispel is that they are extremely hard to identify in the first place. Tools and technologies driven by AI can help reduce these untraceable biases in the recruitment process by following a standardized and objective candidate assessment methodology. By filtering applicants only on the basis of relevant skills and experience, AI can level the playing field, increase the talent pool for organizations, and thereby ensure that employers have the access to the best talent. That’s not all; tools like HR chatbots can significantly improve the candidate experience and even help recruiters craft the most appealing job descriptions to target different demographic groups based on response history. Using intelligent software systems and sophisticated tools to scout, engage, screen, and even interview the best candidates has proven to reduce the duration of the recruitment cycle, hire better candidates, and improve retention rates as well. While hiring diverse talent is a great starting point to future-proof the workforce, what’s equally important is to build a workplace culture of equity and transparency. Simply hitting the diversity numbers and quotas will serve no purpose, unless employees are actually valued and empowered to contribute. In order words, a culture of transparency and collaboration is critical to sustaining a productive workforce. However, a majority of organizations struggle to clearly communicate and engage with their employees. More often than not, communication is infrequent and one-sided, which can result in a very real risk of employee disenchantment. Technology can be used to understand the motivations and concerns of the workforce in order to provide employees with the information and resources they need to succeed. Similarly, employee data can be used to analyze pay parity, retention levels, and promotions to facilitate the data-driven formulation of D&I policies. In addition to helping to make performance assessment fair and objective, AI can improve communication and collaboration between employees, thus, inculcating a greater sense of ownership and transparency. Additionally, cross-platform digital employee resource groups and network groups have proven to be an effective tool to promote inclusivity and improve collaboration amongst the workforce. While Google and Pinterest were one of the first few companies to declare the not-so-pleasing results of their internal gender parity assessments, several other leading companies have followed suit and promised to eliminate the gap. The use of tech to propel D&I has been particularly significant in the recruitment and screening process. For instance, SAP has been using analytical tools to remove users’ bias when analyzing data in payroll, recruitment, and talent management and uses intelligent analytics to measure, monitor, and drive activities to ensure accountability as well. The company also routinely conducts gender bias scans to identify and recommend language replacements in order to remove unconscious job bias from job descriptions. Similarly, Morgan Intercultural helps organizations create ‘cultural profiles’ using the data collected on communication styles, leadership structures, and team dynamics to help them understand their company culture better and formulate policies to make them more inclusive. It’s also important to understand that AI cannot help organizations become diverse on its own. The foundation of driving D&I policies in a company needs to be a realization of the fact that a diverse and heterogeneous workforce provides a business edge helps expedite innovation and positively impacts the bottom-line. Technological tools need to be backed with progressive vision and values that champion what it means to be truly diverse. SAP, for instance, has laid clearly defined goals of its D&I policies and based them on the four pillars of gender intelligence, generational intelligence, culture and identity, and differently-abled, thus, incorporating on all major aspects of diversity and inclusivity. Thus, before integrating tech with the company’s D&I framework, leaders and employers need to assess the existing limitations and challenges, ensure the availability of relevant data points, and design an empirical assessment strategy by defining the factors that influence the employee workplace culture, experiences, and empowerment. Even the most well-intentioned policy can backfire if its implementation is botched up. 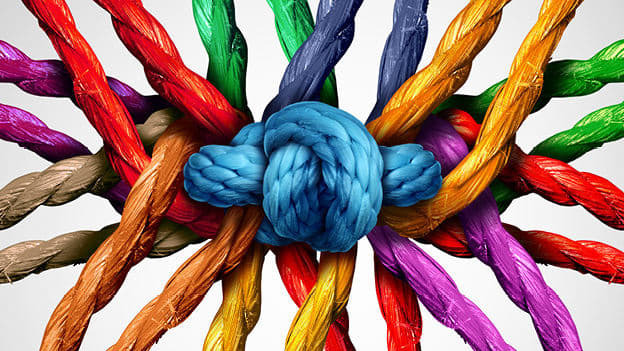 Sure, there is a breadth of issues that encompass diversity and inclusion, but as several studies and surveys have shown, a consistent and flexible approach to D&I that focuses on a number of small changes can lead to a significant impact of the overall company culture, inclusivity, and financial performance. NEXT STORY: What makes Ireland one of the best countries for business?